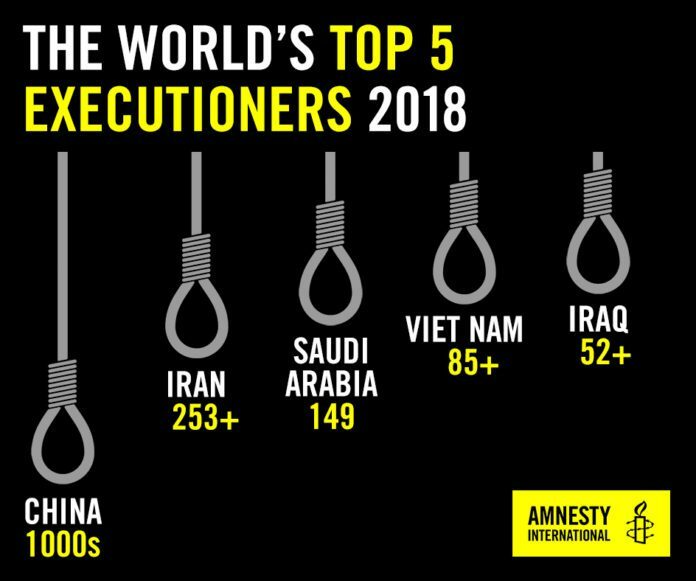 Global executions fell by almost one-third last year to the lowest figure in at least a decade, Amnesty International said in its 2018 global review of the death penalty published today. The statistics assess known executions worldwide except in China, where figures thought to be in their thousands remain classified as a state secret. In Southern Africa, Botswana resumed executions after a break in 2017. In March 2018, Zimbabwe commuted the death sentences of prisoners who had been on death row for more than 10 years. The country has not carried out any executions since 2005. There were at least 356 people known to be under the death sentence in Southern Africa at the end of 2018. Botswana was the only country in southern Africa to execute two people after they were convicted of murder.